Dr. Kirby has been a resident of the Auburn area for 30 years in the private practice of Urology and is currently the Chairman of the Tumor Board at Sutter Auburn Faith Hospital. Dr. Kirby is starting his 30th year of working with the Placer High School Athletic Department doing free physicals for students and being a physician on the field. He has been Chief of the Medical Staff at Sutter Auburn Faith, Chief of the Surgery Department at Roseville Community Hospital and the first Chairman of the Institutional Review (Cancer) Committee at Sierra Nevada Memorial Hospital. 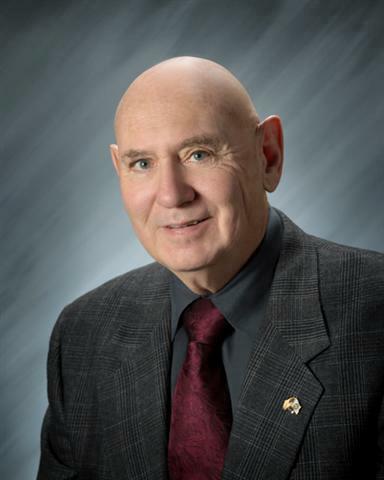 Dr. Kirby has also served 10 years on the Foundation Board of the Roseville Community Hospital Foundation Board and 10 years on the Foundation Board of Sutter Auburn Faith Hospital. Dr. Kirby also was a physician on the 100 mile run for 17 years earning a Friend of the Trail award. He is very proud member of the Auburn Rotary Club and has been very involved in all of Rotary's Project Auburn Community Events. He has served as elected director of the Auburn Recreation District serving as Chairperson. Dr. Kirby served as President of Auburn Little League for four years with 7 years on the Board of Directors and many years as a coach. Both of his children graduated from Placer High and attended Sierra College. His daughter Sarah teaches 5th grade in Rancho Cordova while his son James just graduated from Loyola Marymount University. He is a pilot and works with the 'Flying Doctors' flying to rural villages to help run free medical clinics. Dr. Kirby strongly believes in community involvement and giving back.